The love of entertaining, the act of coming together, the laughter and love that results from it, that’s what Borrowed Charm is made of. We’ve loved being a part of the biggest moments of your lives, now you can bring some Charm into your Home for the Holidays! 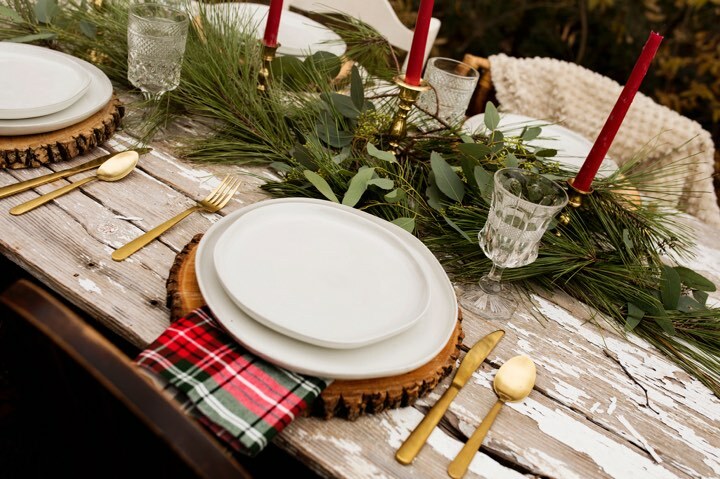 Good things happen when we gather at dinner tables, so let us help decorate yours with our Borrowed Charm Holiday Turn-Key Tablescapes! 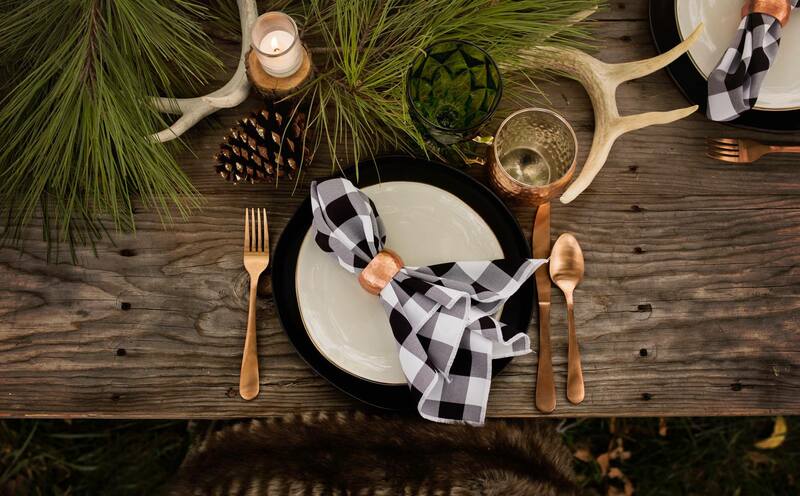 Be the Hostess with the Most-est this Thanksgiving and Christmas. Simply select the design that fits you best, let us know how many place settings you need, plan your menu and we’ll do the rest! No need to wash, just pick up, pack up and return after the holiday! No Stress. No Mess. Vibrant in color and rich in texture, embrace the warm tones of fall as you count your blessings surrounded by the ones you love. 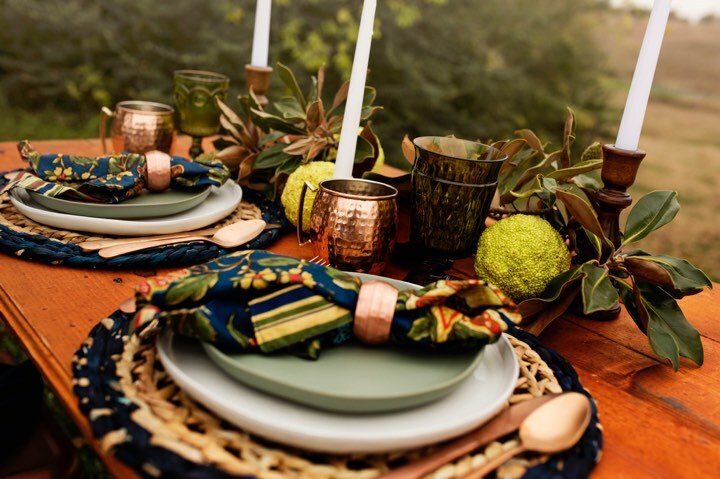 From copper accents and warm tones to lively greens and beautiful blues, this colorful palette is a new take on a Thanksgiving table. 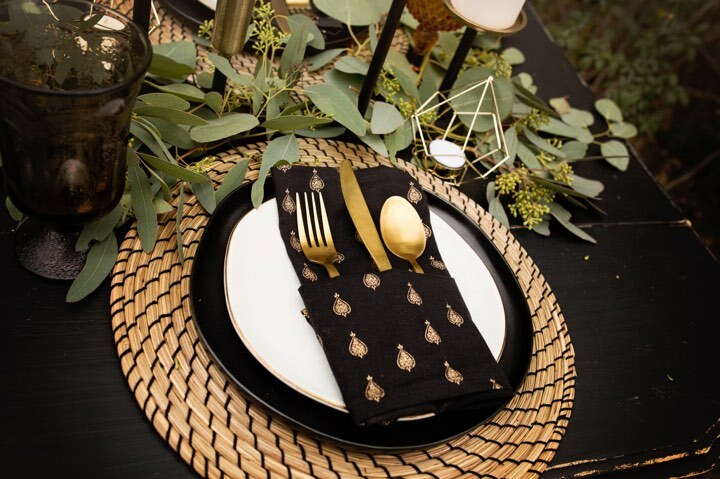 Classic Black and Gold, be inspired by these modern and minimal place settings. 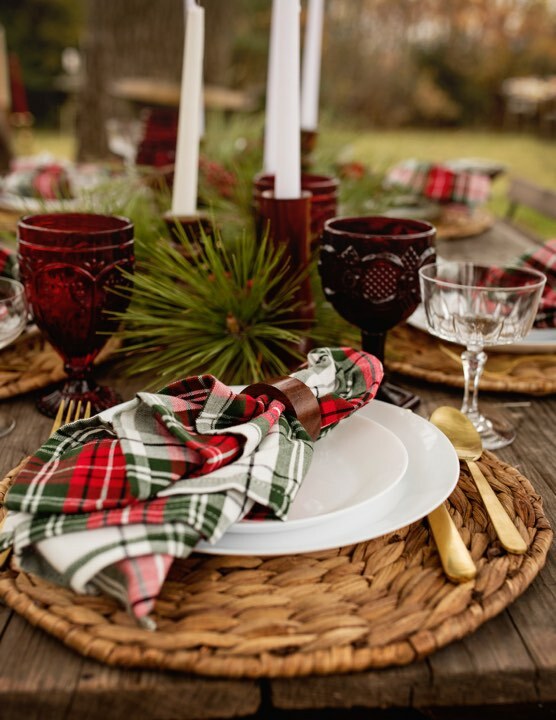 Touches of plaid, pops of red and wood these place settings are perfect for a Winter Holiday gathering indoors or out! 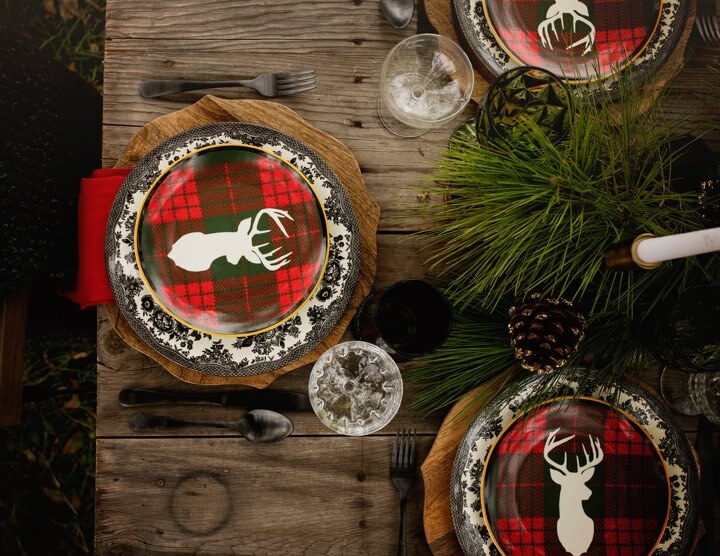 Black, Green, Red and mis-matched prints, this fun and festive tablescape is an all around favorite! 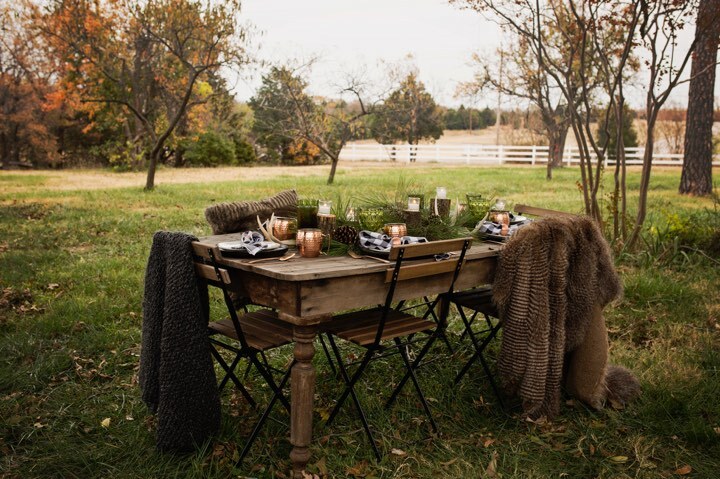 A mix of traditional rustic accents, with modern touches, with this clean, simple and copper place setting, no one will want to leave the table. Mercury Glass, Silver, Gold and Glass, a stunningly simple display of elegance. 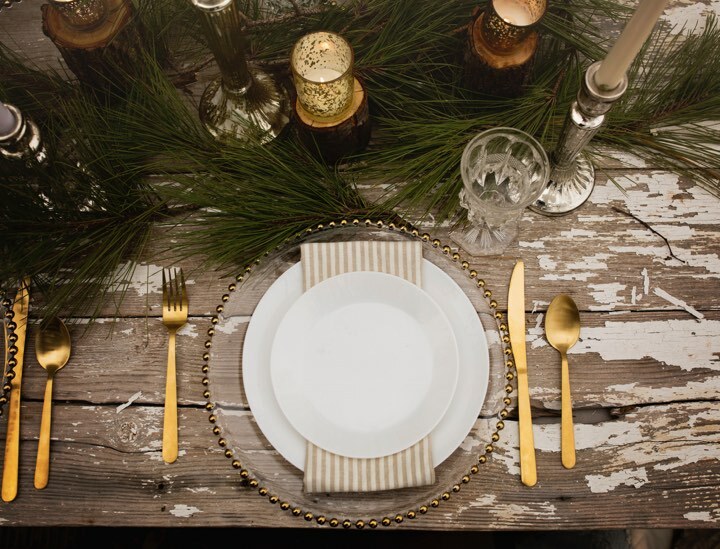 Natural Elements, touches of color, crisp and simple create the perfect atmosphere for a traditional Christmas Dinner. Email us at Hello@borrowedcharm.com for more information, to book or to find out about our a la carte holiday services. 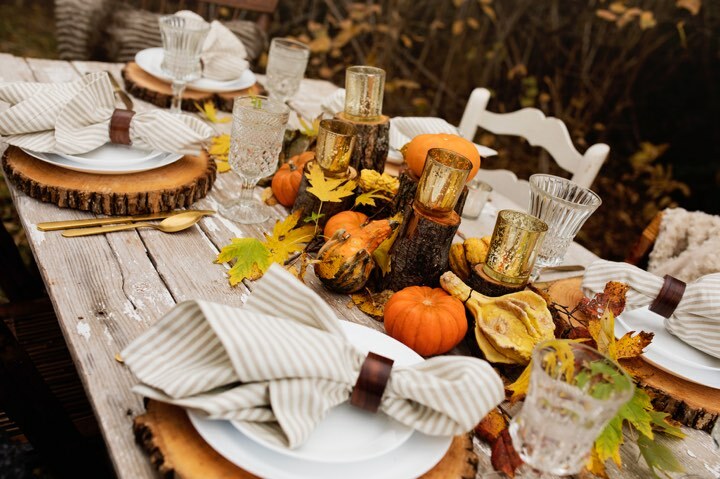 Uncomfortable setting up your tablescape yourself, employ one of our stylists to do it for you!